Pahiwi rams are bred using the best available recording systems and modern science to ensure rapid genetic gains within the Romney and Suffolk flocks. We are committed to breeding high performance, low input sheep for progressive farmers. is a summer dry 150 hectare block near Takapau, and is run with an adjoining 115ha lease block. The majority of stock numbers include finishing lambs and bull beef. We also run the ram sales from Pahiwi, commencing in November. 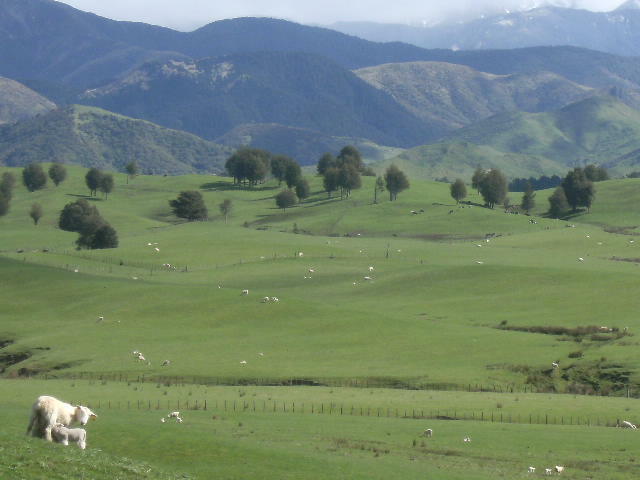 is a 250 ha summer safe farm situated in a colder climate at 1500feet in the foot hills of the Ruahine ranges. Here we run commercial breeding ewes and replacements and some bull beef. Predominantly easy rolling contour, with some steeper areas. Otoka is a 290 hectare property located in the Flemington district south of Wapiukurau. Here we run all recorded ewes and replacements. Otoka is a mix of rolling to steep hill country with 25 ha of flat and is well suited to the intensive recording we carry out to breed for efficient healthy breeding stock. All recorded and commercial ewes are run together at higher stocking rates at 11/ha wintered, our strict culling regimes ensure that only the top performers remain in the flock. Ram lambs are mob grazed from weaning as are the ewe lambs to aid in the selection process. Ewe hogget mating is standard practice. Please click on Romney on the home page to find out more. Please feel free to contact us for further enquiries, or to inspect stock.